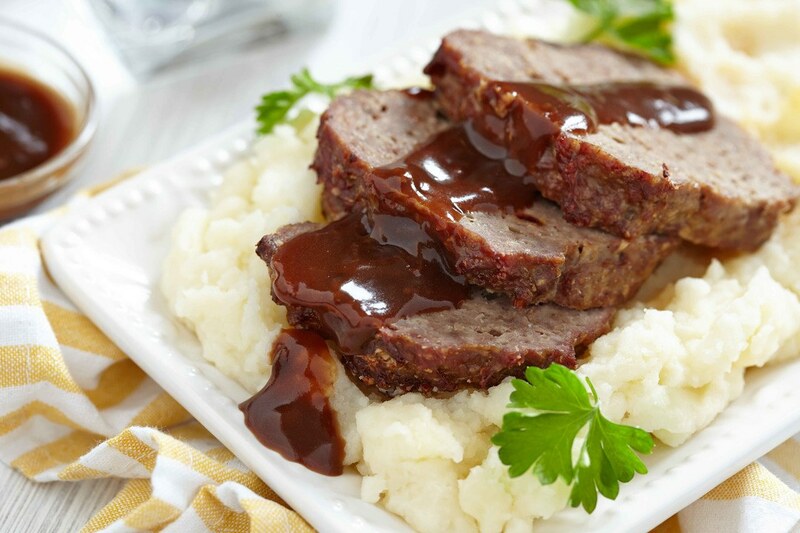 →Can You Make Meatloaf Without Eggs: Yes, Absolutely! Although a typical meatloaf recipe uses eggs, you can actually make this dish without using an egg. So, the answer is yes. It’s a matter of personal choice – If you don’t like eggs, that’s ok, that’s your choice. As with any type of food, eating is a matter of taste and you should love (or at least appreciate) what you eat. Personally, I love eggs. But I know of some people who don’t like the texture and taste of eggs – and I respect that. You have health concerns – There are people that are allergic to eggs. 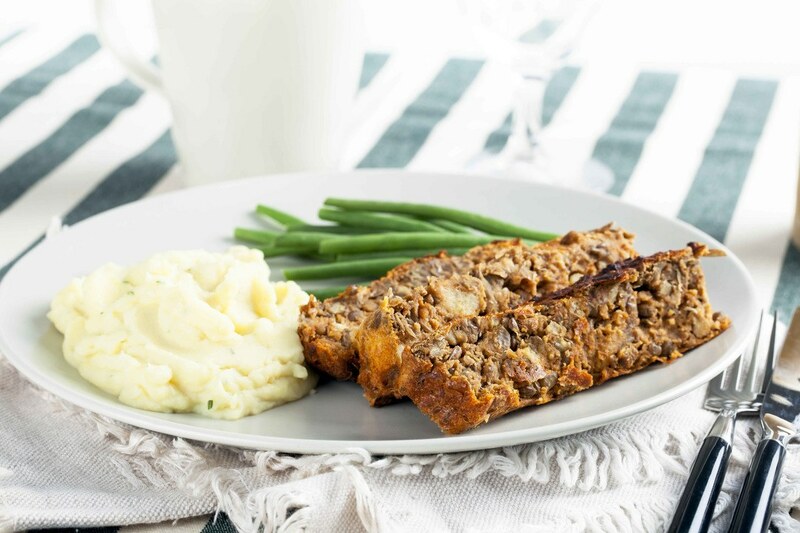 If you’re one of those people, you’ll be glad to know that you can eat meatloaf even if you’re allergic to eggs (just make sure that the recipe is eggless). Because of culture and religion – In some culture and religion, egg consumption is not allowed. If this is the case with you, you can only eat eggless recipes. Fortunately, you won’t have to give up eating meatloaf because of this (as there are eggless meatloaf recipes). You ran out of eggs – It happens, sometimes you want to cook something and find yourself missing some ingredients. 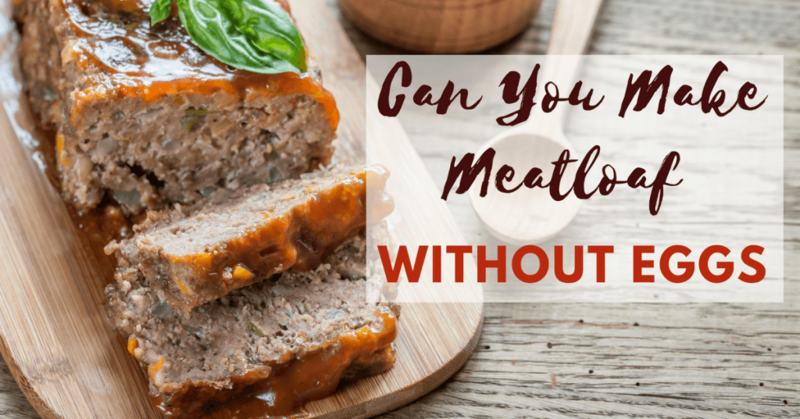 Should you want to make a meatloaf and there are no eggs available – don’t worry, you can still proceed to making your recipe without it (this article shows you how). Sure, you can make meatloaf without eggs – but how? Well, you need an egg substitute that will act as the binding agent in your meatloaf recipe. You see, eggs act as a binder when used in meatloaf – that’s its main purpose, actually. Listed below are 9 egg substitutes that you can use for your meatloaf. Bread – Soaked pieces of bread can be used to replace eggs in meatloaf. You can soak the bread pieces in either milk or water. Bread crumbs – When combined with ground beef, bread crumbs work as binding agent. Oats – Oats work in the same way as bread crumbs and can be used as substitute for eggs in a meatloaf recipe. 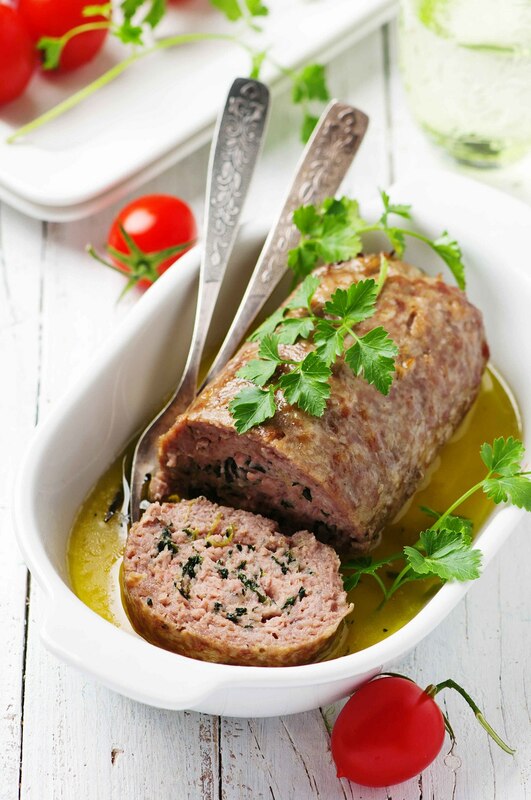 Mayonnaise – Because of its rich and creamy nature, you can use mayo instead of raw eggs in making meatloaf. Come to think of it, mayonnaise uses egg as one of its main ingredients (so technically, your meatloaf won’t really be eggless). Flax seed – To substitute for 1 egg, mix 1 tablespoon of flaxseeds and ¼ cup of water. Butter – Like mayonnaise, butter also contains moisture that can serve as binding agent in a meatloaf recipe. Cream – Cream is, again, like mayonnaise (in texture) – that’s why you can also use it to substitute for eggs in making meatloaf. Corn Starch – Combine 2 tablespoons of corn starch to about a cup of water to create a thick, creamy mixture. This can act as binding agent in meatloaf, so there’s no need for eggs. Applesauce – ¼ cup of applesauce is equivalent to 1 whole egg (as substitute). You can use this moist ingredient in making meatloaf. For a light-textured meatloaf, soak some pieces of bread in milk before mixing it up with the rest of the ingredients. You will know that you have made a good meatloaf if you end up with a soft but firm loaf (not crumbly). If you don’t have egg issues, I still think it’s better to make meatloaf with eggs. Egg is a highly nutritious food – and it really makes dishes tastier. If you’re new to making meatloaf, this section will give you an idea as to how this dish is made. 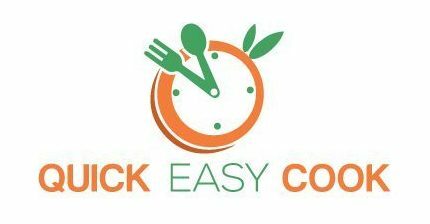 Let me tell you right now – it’s very easy to prepare and is always a big hit to everyone. Basically, all you need to do is combine some ingredients in a bowl and shape it into a loaf before baking it in the oven. Form the mixture into a log or loaf. Bake for about 50 minutes (or until done). Serve hot with topping (e.g. catsup, barbecue sauce, etc.). Q: Do you have to put eggs in meatloaf? A: Personally, I prefer my meatloaf with eggs – I just find it tastier that way. However, there are lots of eggless meatloaf recipes – so, you really can make meatloaf without using the egg ingredient. Q: Can you make meatloaf with mayo instead of eggs? A: Yes. I included mayo as one of the possible replacements for eggs in meatloaf recipes. 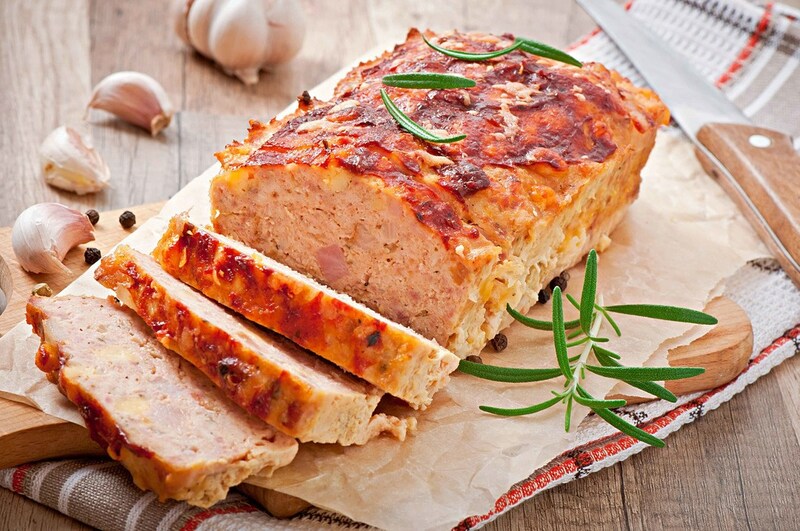 Q: How to make meatloaf without eggs and bread crumbs? A: Although eggs and bread crumbs are some of the basic ingredients in meatloaf, you can actually make one without them. After all, these ingredients only work as binders – and there are lots of substitutes for binding agents (just look at the list I provided above). Like I said, a lot of people are now into eggless meatloaf recipes. If you can’t find a recipe for this type of dish, you can start with some of the eggless meatloaf recipes below. I only picked the simplest ones – so, I’m sure you’ll enjoy making these recipes. Soak bread in water, drain, and set aside. In a bowl, combine everything (ground beef, soaked bread, onion, garlic, etc.). Mix well until all the ingredients are combined. Get a loaf pan and fill it up with the ground beef mixture. Put the pan in the oven and bake for 1 hour. Remove the pan from the oven and top with barbecue sauce. Let the meatloaf cool before removing from the baking pan. Transfer to another dish and slice. In a large bowl, combine the ground turkey, potato flakes and salad dressing. Mix everything thoroughly. Put the mixture in a large baking pan. Get a bowl and mix all the ingredients together. 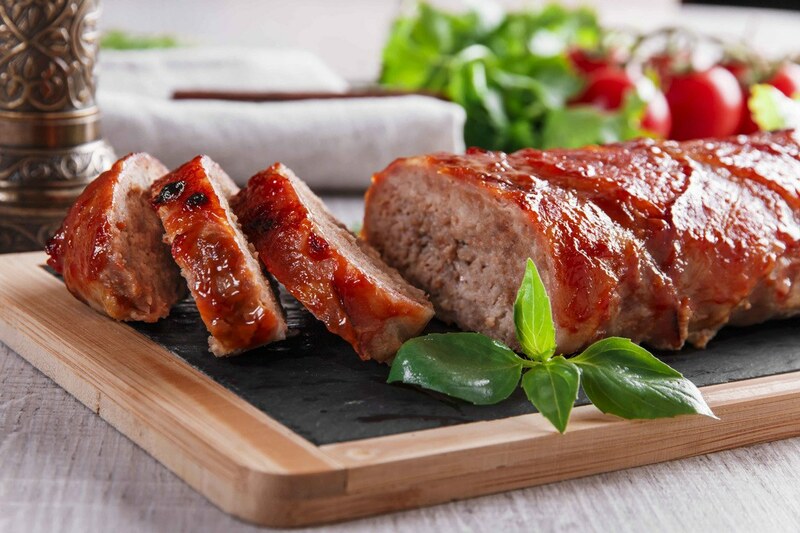 Keep in mind that everything should be well combined to get the best texture and taste in your meatloaf. Get a baking pan to serve as mold for the meatloaf. Remove the pan from the oven and allow to cool off (about 15 minutes). Cut in slices before serving. As you can see, this is another eggless meatloaf recipe. In this particular dish, it uses bread crumbs as binding agent – that’s why the egg ingredient is omitted. Before reading this article, you were probably a bit problematic on how to make meatloaf without eggs. Perhaps, you aren’t even sure if it’s possible to make this delicious dish without eggs. Well, now you know that it IS possible and that you can still make delicious meatloaf recipes without including eggs in the ingredients. So, if ever you don’t want to use eggs in your meatloaf recipes, just refer to the list of substitutes I presented above. For whatever reason, you can always omit eggs in meatloaf – remember that. If this article has been helpful to you, make sure that you pass it on to others. I will also be waiting for your feedback below.